Although Wang Jianguo knows little about rare earths mining, he is an accidental expert on its consequences. A short walk from the 43-year-old former farmer’s dilapidated brick home in Xinguang Number One Village, is the world’s largest rare earths mine tailings pond – an endless expanse of viscous grey sludge built in the 1950s under Mao Zedong. The pond, owned by the Inner Mongolia Baotou Steel Rare-Earth Hi-Tech Company, or Baotou Steel, lacks a proper lining and for the past 20 years its toxic contents have been seeping into groundwater, according to villagers and state media reports. It is trickling towards the nearby Yellow River, a major drinking water source for much of northern China, at a rate of 20 to 30 metres a year, a local expert told the influential Chinese magazine Caixin. “In the beginning, there was no tap water here, so we all drank from wells,” Wang said. “The water looked fine, but it smelled really bad.” In the 1990s, when China’s rare earths production kicked into full gear, his sheep died and his cabbage crops withered. Most of his neighbours have moved away. Seven have died of cancer. His teeth have grown yellow and crooked; they jut out at strange angles from blackened gums. 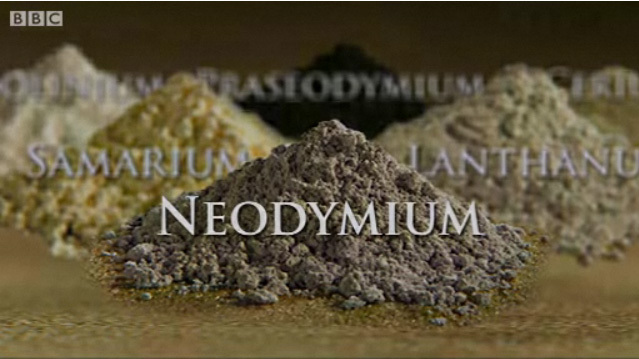 Rare earths are a group of 17 elements: “iron grey to silvery lustrous metals” that are “typically soft, malleable, and ductile; and usually reactive”, according to the US Geological Survey. They’re crucial in manufacturing a broad array of high-tech products, such as smartphones, wind turbines, camera lenses, magnets and missile defence systems. China produces more than 85% of the world’s supply, about half of which comes from Baotou, a city of 2.5 million in China’s Inner Mongolia Autonomous Region, 650km northwest of Beijing. Processing rare earths is a dirty business. Their ore is often laced with radioactive materials such as thorium, and separating the wheat from the chaff requires huge amounts of carcinogenic toxins – sulphates, ammonia and hydrochloric acid. Processing one ton of rare earths produces 2,000 tons of toxic waste; Baotou’s rare earths enterprises produce 10m tons of wastewater per year. They’re pumped into tailings dams, like the one by Wang’s village, 12km west of the city centre. China began mining the minerals on a mass scale in the mid 1980s, and after nearly two decades of lax environmental regulation has only recently begun to address their noxious legacy. Seven years ago, China began restricting and taxing its rare earths exports, ostensibly to improve its environmental record. In 2010, the US, European Union and Japan – long accustomed to China’s inexpensive supply – lodged a complaint with the World Trade Organisation. China, they argued, was simply encouraging domestic consumers to pick up the slack. In late October, the organisation ruled that China’s export restrictions violated its regulations. China is expected to appeal. In 2009, Baotou Steel began relocating farmers from villages around the tailings pond to resettlement sites on the city’s outskirts; it has set up a waste managing warehouse staffed by 400 employees. Yet the pond is still a reminder of how far China’s cleanup effort has to go. Surrounding villages are decimated. Stray dogs amble through dessicated corn and wheat fields, the rusted frames of dismantled greenhouses arching above tangles of discarded plastic bags. Continue reading here….